The most difficult task in creating a responsive custom WordPress theme or any responsive website in general is to code the CSS file of the theme. The CSS file dictates the main look of the theme and decides whether the theme is responsive or not. But what if you get a pre-coded responsive CSS sheet that is stuffed with all the main features? It will make your life a lot easier, won’t it? Keeping this in mind, we present to you few simple steps to integrate responsive Bootstrap framework in your WordPress theme. But first let’s talk about bootstrap. What is Twitter Bootstrap Framework? All these components can be easily used to create your responsive custom WordPress theme but requires in depth coding or some additional plugin as WordPress has no provision for including bootstrap components through dashboard itself. 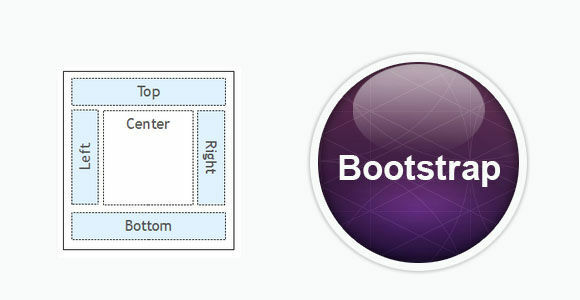 To know more about the available components and usage of bootstrap refer to this guide. A preview of features and components of bootstrap CSS, and how you can use these featuresn. 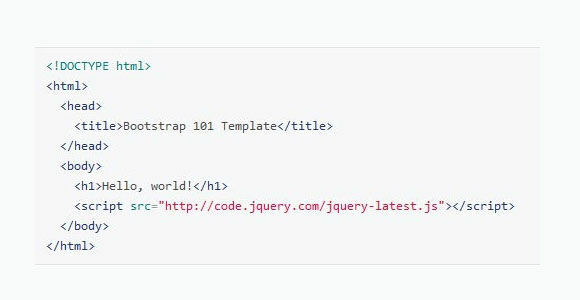 The first step in creating a custom responsive WordPress theme is to download the bootstrap framework. 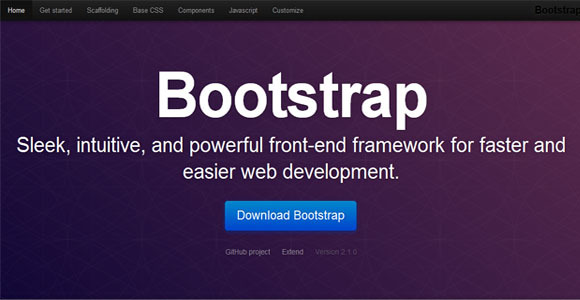 The default version of bootstrap can be downloaded from here. The best part about bootstrap is that you can customize the downloaded file according to specific needs. Thus we will advise you to always download the customized version from here. For this tutorial we don’t want to worry you about what to choose and what not, so just check on everything and download. The file size would be around 300-500 KB so it doesn’t matter anyway. Extract the bootstrap in a directory named bootstrap and place it inside the folder of the theme for which you wish to add the bootstrap. If you don’t know where the themes are located in WordPress, refer to this post, and most probably you won’t know much about custom theme making so to learn more about it refer to this post. The first step after downloading Bootstrap is to declare it in the WordPress PHP file that contains your tags and doctype declarations. In most themes it is normally in header.php, but in some rare cases it is in index.php also. If you are creating your theme from scratch, it’s best to make a header.php. This will include the bootstrap framework in HTML and PHP. This code should be just after the theme information comment of the style.css sheet before any other code. You can add any CSS code and styling you want after importing, but make sure that it doesn’t override the CSS components already present in the bootstrap.css, unless of course, you specifically want to do that. There are lots of possibilities in CSS and HTML. This code will create a block that will span 4 columns in the given row and another block that will span 8 columns in the next row. The <a class=”btn” href=”#”> tag will include a button at the end of the content block. If you have noticed, I have included another row inside the 8 span row. This is the way by which you can nest one column inside another. See how I have explained nested columns, buttons, and gird in a single code example. Similarly, you can create a 2 column fluid grid using a <div class = “container-fluid”> tag. This is great for creating pages that have two different columns such as a side bar and content page. Though for WordPress you can add a sidebar without using it but still it’s one of the capabilities of bootstrap. Note:- One special mention to the class list would be the <div class=”hero-unit”> tag. I really love using it and will urge you to try and experiment with the tag. .visible-phone: – This class will make a component visible only when the screen size is below the standard tablet and desktop screen size. The bootstrap framework takes the standard screen size of tablets as between 979px to 768px, and anything greater than that to be desktops, and less than that to be mobile devices. .visible-tablet: – This class, just like the previous class, will only make the component visible to tablets. IN addition you can use the following media queries in the CSS file to render specific style according to screen size. As said earlier, bootstrap comes loaded with many features and thus requires a good knowledge about bootstrap, HTML, and CSS to properly harness its power. It only saves you the time to manually create all the components from scratch. 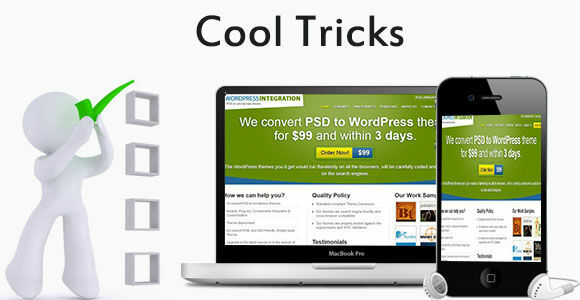 However if you are new to programming it is highly advisable to get your themes made by expert WordPress developers.